When Asus unveiled its Zenfone AR way back at CES, it offered something that no other phone had: augmented reality (AR) and virtual reality (VR) capabilities. Six months later it’s finally available for purchase—and it’s still the only phone that can handle mixed realities. Now that we know the price and had an opportunity to actually use the Zenfone, it’s even more intriguing. 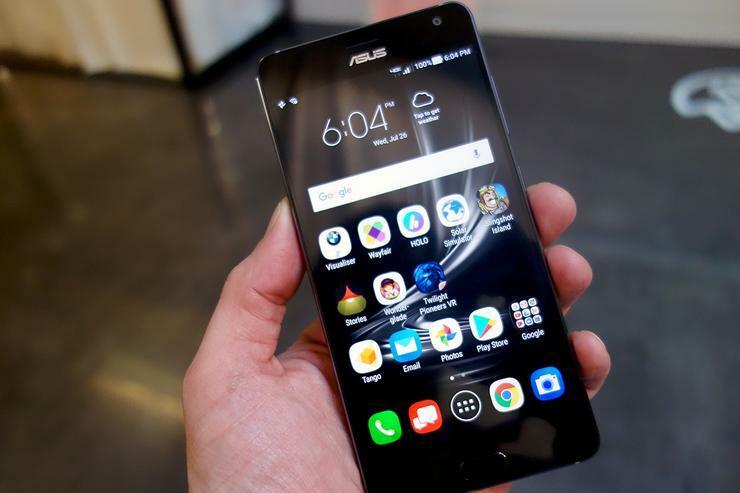 Apart from its prior-generation Snapdragon 821 processor, the 5.7-inch Zenfone AR boasts some serious power, with a Super AMOLED WQHD 1440 x 2560 display, Adreno 530 graphics chip, 6GB or 8GB of RAM, 64GB or 128GB of storage, and a 3,300mAh battery. There’s also a 23MP main camera featuring Sony’s super high-res Sony IMX318 sensor, along with laser focus and optical and electronic image stabilization. But the spec sheet doesn’t tell the whole story of the Zenfone AR. Reality check: Without its AR and VR capabilities, the Zenfone AR would barely register a blip on the Android radar screen. But Project Tango and Daydream up the ante considerably. For less than the cost of the LG G6, Galaxy S8, or HTC U11, Asus has delivered a phone on the bleeding edge of two emerging mobile technologies, and I’m not just talking about a Pokemon Go gimmick. Project Tango is a real-deal AR platform, and the Zenfone AR is the face of it. You're seeing that right—there are three cameras on the back of the Zenfone AR. As its name suggests, the Zenfone AR is the second phone to support Google’s Tango technology, and in many ways it represents the maturation of the platform. The original Tango phone, the 6.4-inch Lenovo Phab 2 Pro, is enormous and glitchy, but Tango has come a long way in 12 months. I had a chance to play with a Zenfone AR at an event in San Francisco last week, and I was impressed by what I saw. For one, the Zenfone AR feels like a phone. Its leather-wrapped back feels something like an old Leica camera, a refreshing change from the usual metal or glass enclosures. The Zenfone is thin and light enough to carry around all day, despite packing four cameras—three on the back (a main shooter along with motion tracking and depth-sensing cameras) and another on the front. But the main use of all that camera prowess won’t be for taking photos (though its absurd 92 MP "Super Resolution" mode will surely will snap Instagram-worthy ones). It’s for augmented reality. There aren’t a ton of uses for AR yet, but the apps that are available are impressive. I tested a few of them—namely Wayfair, BMW, Google Expeditions, and Holo—and each offered a smooth, seamless experience with my surroundings. With the Wayfair app, for example, I was able to see how a variety of products would look in my living space, complete with 360-degree views and true-to-life scaling. Games were fun and immersive, and I could have spent considerably more time playing the physics puzzler Slingshot Island. But Tango truly excels by bringing the unreachable real world a lot closer. With the BMW app, for example, you can put a $140,000 i8 in your driveway, the only way most people will ever get to enjoy one. You can change the color, open the doors, and peek inside. It’s all very slick, if not limited in scope. But AR is still in its infancy, and you need look no further than Apple’s ARKit to see the enormous potential it holds. And the Zenfone AR is built to grow with Tango. Its size and weight made it comfortable to hold during long sessions, and the phone instantly responded to my swipes and taps. It didn’t get too hot under a heavy load either. It remains to be seen, however, whether the battery can keep up during long stretches of processor-intensive AR sessions. 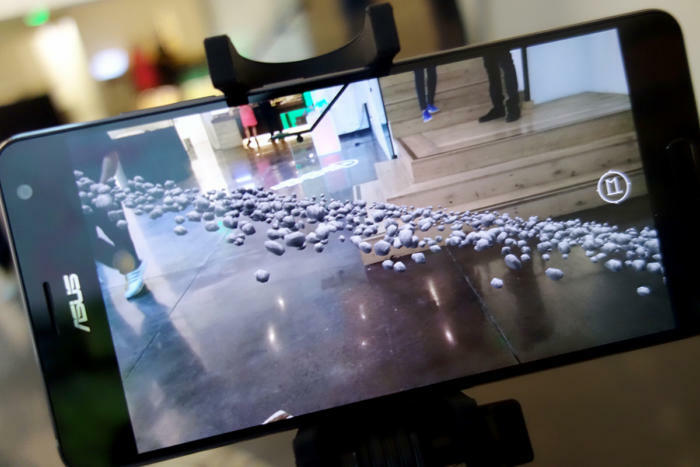 You can put an asteroid belt in your living room with Google Expeditions and the Zenfone AR. The Zenfone AR is also one of a handful of handsets deemed Daydream-ready, so you can pop your phone into a Daydream View headset to get the full Google VR experience. You can purchase a headset in slate, snow, or crimson for $79. The unlocked Zenfone AR is available today in two configurations, a 64GB version with 6GB of RAM for $599 and a 128GB version with 8GB of RAM for $699. 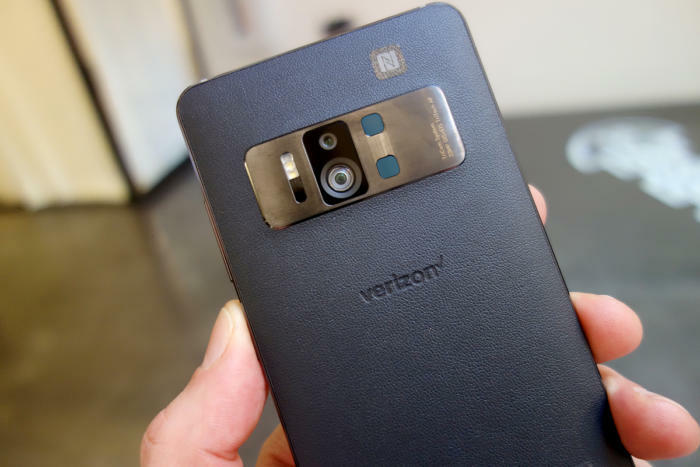 The Verizon-exclusive version with 6GB of RAM and 128GB of storage costs $648 (or $27 a month for 24 months) and includes a $25 Wayfair.com gift card.